Meet Ken Simpson, a retired police officer; Rose Tinnes, a newly divorced woman trying to get her life back in order; and Jason Edwards, a man recently paroled and looking forward to his freedom. These three people form the nucleus of an unlikely group who will struggle to survive as their city falls to the undead. Most people faced with the zombie apocalypse are simply trying to survive. Joel Landon is determined to live...by any means necessary. All he needs to do is surround himself with the right people who have the same mindset. Of course, they also have to understand that there are rules. No society can flourish without them. If you step out of line, the last words you hear will be, "I sentence you to the darkness." Could there be a fate worse than death by zombie? The world is a wide-open place, and lawlessness abounds. The fate of civilization hangs in a delicate balance. With nobody looking over your shoulder, would you choose good...or evil? 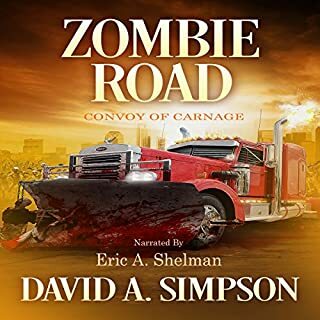 The choices made by a few could mean the end of hundreds of lives and reduce the chances that man will outlast the zombie in a world without order. So, by this point in the series, it should be no surprise that Andrew McFerrin is awesome and TW Brown writes great zombie fiction. This is the second to last book and is as consistently good as the last 10. I'm just sad there is only one book left in this series. Oh well, bring on the last book! Where are you leading? i am following! If you could sum up DEAD: Blood and Betrayal in three words, what would they be? Since my favorites mostly are with the Dearly Departed, i would have to say Talia is one of my favorites. She is at the stage of knowing enough to get out of some situations but not knowing quite enough to stay out of even more. The end of the book... how could you leave it hanging that way? lol! If you have made it this far in the series then this will not disappoint. Using the dead as a weapon...?? So, in the past books, we found that the living are far more dangerous than the dead and now the living are using the dead as a weapon. Well, for some reason, I am not surprised that the human nature can be so evil. TW Brown is one of the most talented writers I have ever had the honor of reading. 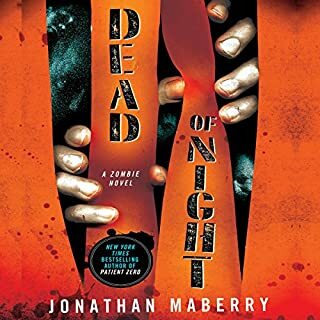 The best zombie series I've ever read. These books are my family deep in my heart. Excellent story with a great performance. I was riveted and found longer ways to drive home so I could continue to listen. Have you listened to any of Andrew McFerrin’s other performances before? How does this one compare? 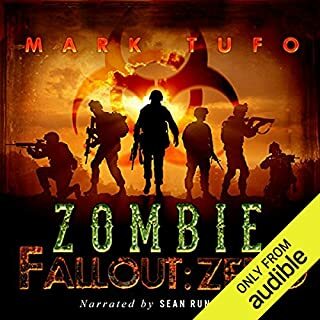 i really like this series and would recommend it to any body that likes zombies and or post-apocalypse books. no super heroes no vampires just every day people. Yes, to continue the story. That's it. What could TW Brown have done to make this a more enjoyable book for you? Could you see DEAD: Blood and Betrayal being made into a movie or a TV series? Who should the stars be? Tell the publishers to eff themselves. I would've have waited at least 2 more months for a better book. A lot of quick forced items. I know your better. P's back the eff off of TWB. Would you try another book from TW Brown and/or Andrew McFerrin? Not until the author realizes that its ok to abbreviate, This will not, we do not, I can not. I seriously don't think I heard one abbreviation in all the books to date. There's something very annoying about it, it just doesn't sound right. I won't purchase another until this changes. Wow look at all my abbreviations! 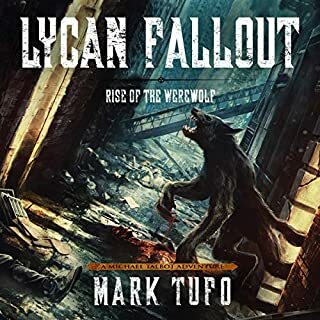 I enjoyed this series, TW decided to keep it to 12 books which is a shame as it felt like there was a lot more these storylines could have given us. 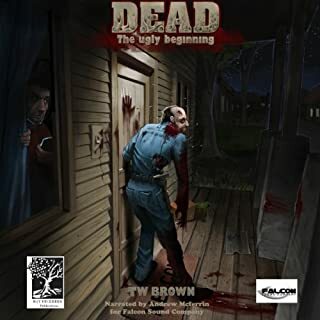 He doesn’t shy away from the horror of what could happen doesn’t go too far into realms you don’t want to wander into (like the Zombie Fallout series by Tufo) and he wasn't afraid to kill people off when their time was done. I'm enjoying the children storyline, different and original. Although a real consitant sexist streak is settling in (which lost it a star) which is odd as there are stronger female characters 'doing' the action in the story but it seems like all the men think in a very sexist way, I guess the author thinks this is what would happen if there was a zombie apoclpse and maybe it would but as a woman it gets a bit boring hearing this over and over from every male character, that said there is interesting variety in how women are written which makes it all the more disappointing. FYI typical bad British accents, so nothing new! 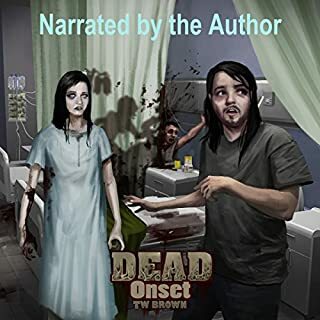 I enjoyed the spinoffs too, the 'Dead snapshots' are great, I like the attention to detail (the English one was pretty much on point re: lingo and culture) and I'm enjoying the new Dead series. 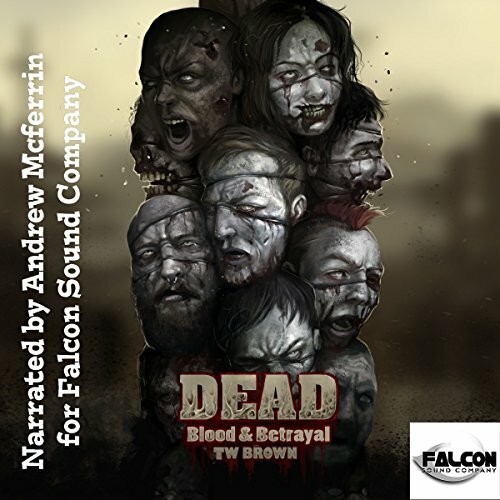 Where does DEAD: Blood and Betrayal rank among all the audiobooks you’ve listened to so far? come to realise the loss and terrible deaths are sort of skimmed over so the story can advance .